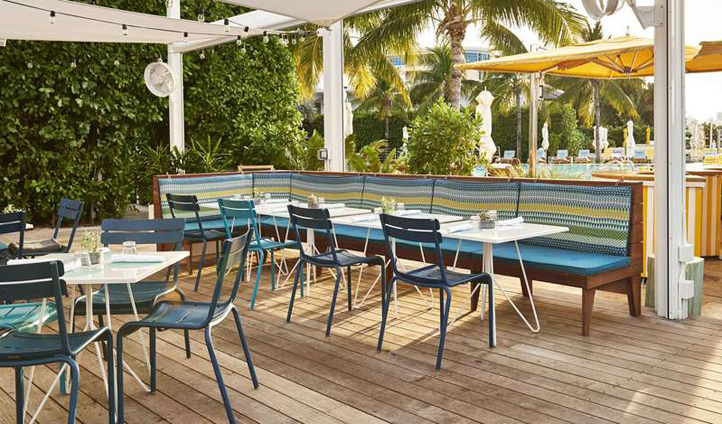 When contemplating Miami what pops into your head first…contemporary, calm, chic? Well we think we have found the very embodiment in the form of the Standard hotel. As soon as you walk into the minimalist lobby you will feel right at home…your own special bolt hole in a city famed for its party scene. The 105 understated rooms are spread liberally throughout the grounds and offer a sanctuary of peace, privacy and tranquility … a welcome contrast to the fast paced nightlife just a hop, skip and a jump away. 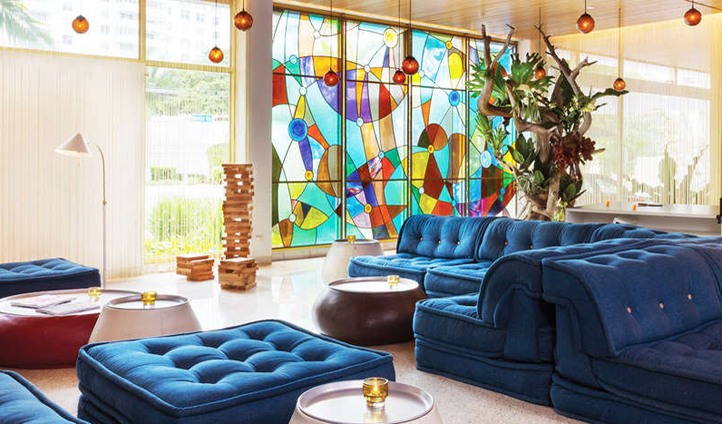 Sandwiched at the center of all the action between bustling downtown and suave and sophisticated South Beach, The Standard occupies prime position on Island Avenue in Biscayne Bay. Whilst being close enough to all the latest happenings on Ocean Drive, you will feel like you are staying on your own private island retreat as soon as you step through the grandiose entrance gates. Kitted out with all the necessary gadgets needed for subwaypolitan living, think hard wood floors, crisp white linens and floor to ceiling windows revealing views of the azure bay, mature landscaped gardens and stunning free form swimming pool. Whether you opt for a ‘missionary’ ‘wet’ or ‘lush’ room (hmmm…), you will be greeted by blonde hardwood beds, rainfall showers and huge outdoor living spaces complete with their own over-size soaking tubs and daybeds. And why not spring for the expansive, loft style, Bay view Suite offering panoramic vistas across the Miami waterways… a true rock star crash pad. Aside from the outstanding service and rigourous attention to detail, we loved the waterfall spa and outdoor jacuzzi…a great way to end the day. Also be sure to make time for a private dinner on the bay front dock to indulge yourselves under twinkling candle light with just the cool sea breeze and gently lapping waves for company.